Just a few months have passed between the introduction of the Droid DNA and the new HTC One, but it seems that HTC has been turned upside down in that time. While the Droid DNA was introduced in conjunction with Verizon and can’t be a wholly representative picture of how HTC might have introduced the device otherwise, it was a spec- and design-driven product — a 5-inch, 1080p display with a 440-ppi density that appeared to spill over onto sides that included a microperforation. In contrast, little was said about the HTC One hardware itself until later in the device’s introduction, surprising because the HTC One is not only the most attractive handset the company has ever built, but also certainly one of the most attractive on the market. While it is an Android device, the casing builds upon the tapered, Windows Phone-inspired 8X, substituting aluminum for polycarbonate. That said, there is also the spillover glass effect found on the Droid DNA. 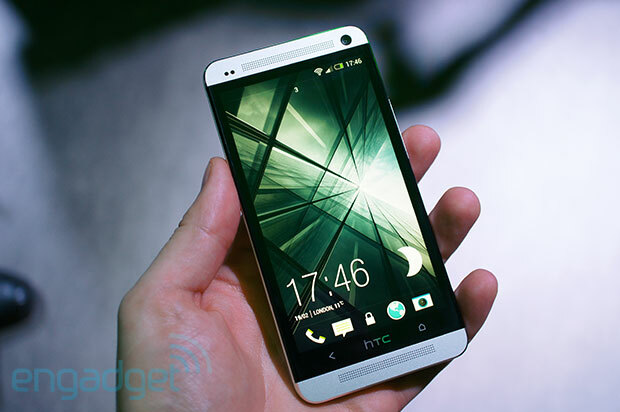 The HTC One retains the 1080p display found in the Droid DNA. 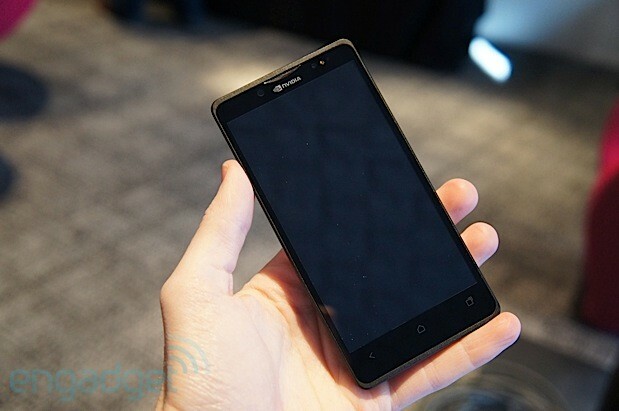 However, since the screen is smaller, the pixel density is even higher (468 ppi) than in that record-breaking device. NVIDIA’s latest venture in the mobile world, called the 4i, was introduced last week ahead of Mobile World Congress, and fortunately the chipset maker brought the product to Barcelona embedded in a reference phone known as “Phoenix.” The 8mm-thick handset, which will find a home in the labs of manufacturers and carriers (as well as the desks of many third-party devs), sports a 5-inch 1080p display, 13MP rear-facing camera, PRISM 2, Chimera, DirectTouch and LTE (we’re told that most major bands are included for testing purposes). As it’s not geared for general consumer use, so it’s not the thinnest, sleekest or best-looking device, and the back doesn’t even seem to snap completely shut. Units are being sampled as we speak, and we should expect to see devices hit the market in nine to twelve months. Since it’s still pretty early in the process, we weren’t able to turn on the phone or benchmark the chipset; the only exception to this rule, as you’ll see in the video, was when a rep showed a gaming demo on his particular unit. While the 4i is the smaller brother of the Tegra 4 family, it’s still expected to be quite powerful. The chip, which is designed specifically for smartphones (tablets will take advantage of Tegra 4 instead), features four 28nm Cortex-A9 r4 (beefed-up from the standard A9) cores that can be clocked up to 2.3GHz, 60 GPU cores (compared to 72 on the T4) and an integrated i500 LTE baseband modem. For additional comparison, NVIDIA showed us the two sibling boards side-by-side. Head below to check out our galleries of Phoenix and the two chipsets, as well as a brief video that shows off the graphics prowess of the 4i. 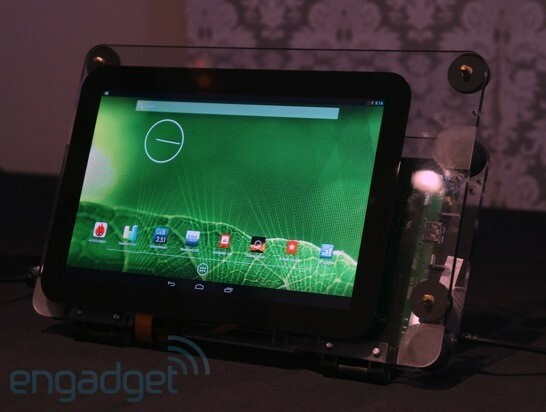 When NVIDIA unveiled Tegra 4 back at CES, we scrambled to get hands-on with a reference device. And though our initial performance impressions were positive — it runs 1080p video and games smoothly — there was only so much we could say to illustrate how fast the performance is. After all, Tegra 3 already does a fine job handling games and full HD movies. What we really needed were benchmarks, some quantitative data to help show the difference between Tegra 4 devices and whatever’s currently on the market. Fortunately for all of you, we just got our chance: here at Mobile World Congress, the company has reference tablets set up expressly for the purpose of running tests. So, we did just that… over and over and over until we had a long list of scores. Meet us after the break to see how it fared. This entry was posted on February 24, 2013, 5:35 pm and is filed under Mobility. You can follow any responses to this entry through RSS 2.0. Both comments and pings are currently closed.